Maldives National Defence Force has been requested to provide security for the candidates in the Presidential Election this September. In a tweet sent out by the Member of the Elections Commission, Ahmed Akram today, he said that the Commission has requested MNDF to provide security for the presidential candidates and their running mates starting from 18 August. After the candidate application being opened last Monday, the MDP candidate, Ibrahim Mohamed Solih (Ibu) and his running mate, Faisal Naseem, submitted his candidate form on Thursday and the Commission officially accepted the candidacy yesterday. 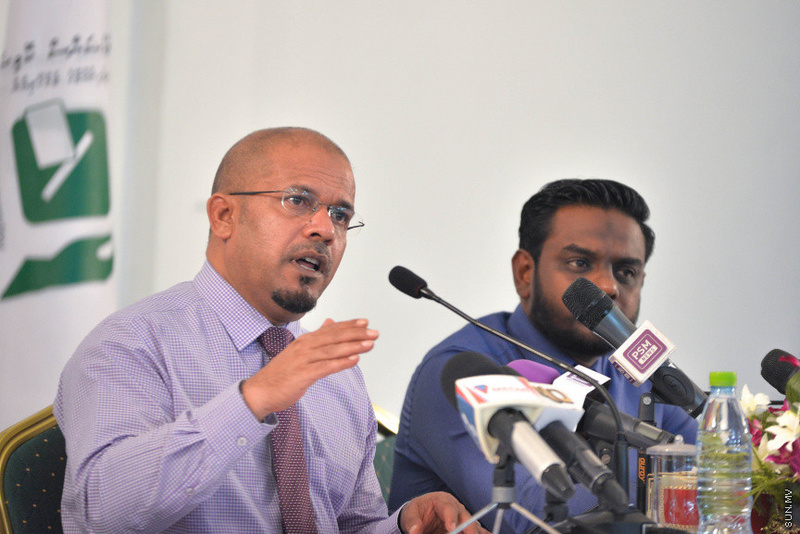 President of the Elections Commission, Ahmed Shareef, told Sun Media that so far nine applications have been taken the form but only the MDP candidate has filled and submitted it. Aside from the MDP candidate, Ibu, the other candidates anounced for the Presidential Election are the current President, Abdulla Yameen Abdul Gayoom as the PPM candidate, the former Home Minister, Umaru Naseer and the fomer Vice President of the Local Government Authority (LGA), Shujaau Hussain. Yesterday, the Elections Commissions extended the deadline to submit forms to 10 August.